The Inquest of Jake McGill Lynch (age 14). 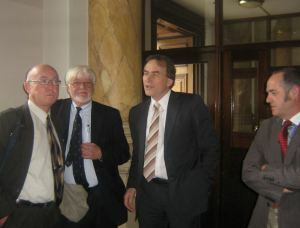 Today I attended the inquest of Jake McGill Lynch, which concluded with the Coroner returning an open verdict. Firstly, amid all the legal argument, there was an infinitely more important factor; Jake.. In 2012 Jake was diagnosed with aspergers syndrome; he was just that ‘little bit different’ ye see. He was a little too intelligent; too good; too kind; too perfect to be perceived as a ‘normal’ disruptive adolescent. I often wonder why psychiatry gets to define what is ‘normal’, considering the lack of any scientific tests to determine otherwise. Are we not all individuals with traits that others would see as abnormal? Are our strange and weird traits not what makes us likable, or even unlikable? Sure, Jake liked routine and things to be in order, a place for everything and everything in its place – not a bad trait I’d say, but nowadays it’s ‘diagnosable’. This extraordinarily intelligent young man was diagnosed, labeled forever, for being just that little too perfect. Jake was an articulate, handsome young man. He had an online girlfriend, loved to play with his Lego and like ‘normal’ 14 year olds, spent hours on his beloved Xbox. He had joined a gun club with his mam and idolized his big brother and little dog Charlie (equally). He loved his native language and was a fluent Irish speaker. Jake was primarily a happy camper with few problems, apart from feeling a little anxious on stressful occasions. He was attending a counsellor to help with his feelings of anxiety. When the counsellor decided that Jake didn’t need any more sessions as he was “the happiest she had ever seen him”, she referred him to a psychiatrist. His mam thought that this referral was in order to sign Jake off. Inexplicably, instead of signing Jake off, the psychiatrist prescribed Jake an SSRI Fluoxetine (aka Prozac), to ‘help with his exams’. Neither his mam or dad were given a patient information leaflet (PIL) or any information on side effects – suicidality or otherwise. Therefore, they were not told that SSRIs, including Prozac, doubled the risk of suicide. Jake’s medication was doubled after a week, without seeing the prescribing psychiatrist. He became increasingly restless and had a meltdown in school which was totally out of character. 46 days after his prescription for Prozac, Jake’s parents found him on the floor of his bedroom – he had shot himself in the head with his legally held rifle. He was rushed to hospital but declared dead a short time later. The psychiatrist had previously testified that she prescribed Jake with Prozac ‘to help with his exams’ because he had had ‘a meltdown’ while doing an Irish exam. This off label prescribing is truly shocking, but what is worse is the fact that Jake’s ‘meltdown’ occurred 5 days AFTER he was prescribed Prozac, not before. Why would a doctor get this so wrong? Is covering their own backsides more important than revealing the true circumstances surrounding the death of a 14 year old child? Do Jake’s parents not deserve to be presented with all the facts, not a cover-up? The HSE’s barrister spends a lot of time in the Coroner’s Court – he’s obviously very good at what he does. Personally I think an apology would be far cheaper. Jake, the 14 year old child in the middle of all this, seemed to get overlooked in copious legal argument. The Irish drug regulator, HPRA, states that ‘Prozac is not for use in children and adolescents under 18’ here. The HPRA further states that if Prozac is prescribed off-label to a child over 8 (Sweet Jesus) with ‘moderate to severe major depressive disorder’, that it should be offered only in combination with psychological therapy. JAKE DID NOT HAVE DEPRESSION! In 2005 the Committee on Human Medicinal Products, CHMP, advised that SSRIs ‘should not be used in children and adolescents except within their approved indications – not usually depression – because of the risk of suicide-related behaviour and hostility’. If prescribed off-label, the CHMP recommends that patients should ‘be monitored carefully for the appearance of suicidal behaviour, self-harm or hostility, particularly at the beginning of treatment’. Why then was Jake’s prescription for 10mgs of Prozac doubled the following week, without even seeing the psychiatrist? I would not call that careful monitoring. 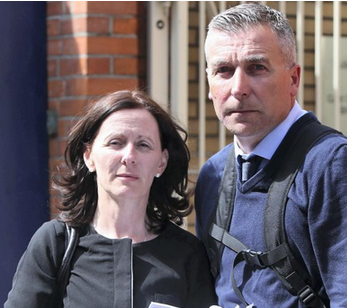 What was particularly grueling for the family, was the 13 appearances in the Coroner’s Court, mainly for legal arguments over whether the family had a right to call an expert witness (David Healy). Not surprisingly the HSE barrister was vehemently opposed to David Healy taking the stand, stating that if he was allowed to be the family’s ‘expert witness’, they (the HSE) had an ‘expert witness’ who would say the opposite. I’m sure they had! The coroner refused the family’s request, referring to the limitations of the Coroner’s Act 1962 and the case of Eastern Health Board v Farrell, but said he’d have no objection to the family having an expert to ‘advise’ them on the day. 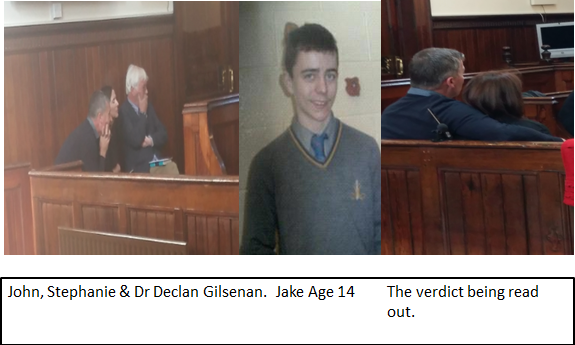 By this stage Dr Healy was in the US, so Declan Gilsenan (retired assistant state-pathologist) came to the rescue and stepped in to advise Jake’s family. He has publicly stated “Based on my experience of doing postmortems on people where anti-depressants have been started fairly recently I would have concerns about the link to suicide”. It is of particular significance, that in May 2012 Dr Gilsenan attended Leinster House with Dr Healy, warning that these drugs were causing many deaths and asking for an investigation to be initiated. Nothing was done – NINE months later Jake was given a prescription for Prozac and the cycle continued. What was awful today, apart from hearing the circumstances of Jake’s death, was looking into the faces of his grieving parents. That familiar look of unbearable pain etched on their faces, the unbelievable loss of their son who had so much to give – all totally avoidable. Another Irish boy lost through psychiatric drugs and another doctor being permitted to recollect ‘facts’ that just don’t add up; another mom and dad left bewildered and lost; another year, another death and still our Ministers avert their eyes and do nothing. Shame on them and the Irish Government. The coroner, having heard arguments for the rights and wrongs of prescribing Prozac in children, said that it was “beyond his capabilities to adjudicate on Fluoxetine” but could not ‘beyond reasonable doubt’ say that Jake intended to take his own life. He then rejected a suicide verdict and returned an open verdict. Dia leat Jake. Ní dhéanaimid dearmad ort go deo. Previous postDavid and Goliath Glaxo..
Whats the problem cant he read black box warnings. Or Study 329 restored. Or the publically known fact that Lilly made 6 prozac suicides in the drug trial cohort vs none in the placebo statistically vanish by scientific misconduct -putting a pre trial suicide into the placebo group. If its beyond his capabilities – his words – then why didnt he get out of the way and let someone competent adjudicate. So sorry they didnt get the correct result which was iatrogenic death. Leonie you and Stephanie are two mighty courageous, Irish women! Unfortunately power is in the hands of those who do not want the truth about prescription drugs to be known. They think profit is more important than people and our children are they least of their concern. But every corrupt, oppressive force will be exposed and will fall just like the Berlin wall. You and Stephanie are such a good example to all of us. When we work together, mutually support and respect each other then is spite of everything Jake’s, Shane’s and all the many other children and adults who have been victims of wrongful poisoning by prescription drugs will not remain silent in their graves. Thank you two so much! Dear Leonie. I can only agree. You and Stephanie are mighty courageous and strong women. Your constant fights against the criminal iatrogenic death are so important, and I hope at some time in the near future that more people will realize what massive crime is going on under the name of psychiatry. I try my best in Denmark where the authorities try to hide that people die from the psychiatric treatment. They die from the very poisonous chemicals they call psychotropics. They try to convince the population that these terrible chemicals help people. But all they do is damaging their brains or kill them. My Dear Luise was terribly overmedicated and suddenly dropped dead while walking. Her body couldn’t tolerate the medication anymore. In a capitalist society if we want to understand the law we have to ask does it extend equal rights to all? If you dont have mental illness a psychatric services is a very toxic thing in Ireland . proceedings.If you don’t have illness , a psychatric services is a very toxic thing in Ireland they did that for many years and they had 20.000 people entombed in a system (Thoma Szass 1961).Crime is a violation of human rights… prescriping medication for the brain can kill a human person but the circumatances is acceptabele is done in the hospital or in private practice Is white -collar crime. Letter I sent in today to the Guardian newspaper. I would like to dedicate it to all those who have died because of deceptive, medical induced harm and those who are fortunate enough to continue to survive! Further to your correspondence following Richard Bentall’s article of February 26th, I write as a survivor of psychiatric deception and oppression. I have no vested interest. All I want is a voice! I could be seen as a successful ‘ex user’ of psychiatry for almost 30 years because I was living at home for most of the time after I was totally misunderstood by psychiatrists and doctors. There are many more like me. You can read about them everyday on social media. I was perceived as a ‘success’ even as I developed more and more serious physical, mental, emotional and spiritual adverse effects from three powerful drugs I consumed as prescribed for over a decade and a half. I encountered psychiatry in the late seventies and did not find my freedom until the year 2000 when I swallowed my last portion of Lithium, which, I was told, I had needed to take for the rest of my life! Today I am drug free for 16 years. I am living the life I would have lived if I had never encountered psychiatry in the first place complete with my beautiful mind intact! Those who have found the medical model to be seriously harmful are considered to be ‘unable’ or ‘lacking insight’ or both by most psychiatrists. These same psychiatrists have no biological tests to show that anyone has what they refer to as a ‘mental illness’ in the first place. Yet they daily force people to consume powerful drugs which can be very harmful. All you have to do is read about their adverse effects. Even other prescription drugs can also have serious psychiatric effects. Instead we are told to keep quiet and to not allow other people harmed by drugs to also become free. Where does that leave us and all those who have died too young to have a voice? is an indicator of social inequality when the goals can be overstressed and the means for attaining them can be under-emphasised to achieved goals is not available to everyone…low level of medication is the high level of equality.While there is probably no single subject has been researching in much detail as inequality in education,there have been no serious attempts at the policy level to radically alter the class outcomes of education Nolan 2000. Nobody has dazzling talents: the human being is not biological robots a realistic attitude, self-confidence, thinking reason creativity is all learnt behaviour.We get our culture from our parents and environment. Skills and psychological makeup it takes time and effort to provide an opportunity to develop.I believe emotional traumas such as abuse, bullying and deprivation suffered in childhood or adulthood can cause certain people to seek relief through medication.One of the fundamental and most causes for depression is repression takes place when to bury painful and negative feeling memories fear inside ourselves, resulting in our holding in all types of confused distorted ,and distressing thoughts and feelings if these are not faced and dealt with but allowed to fester, they cause a buildup of tremendous tension and inner conflicts which adversely affect our peace of mind and pull us down into depression.None of these is a disease Each one of these awful lives challenging crises causes untold amounts of anxiety that if often impossible to deal with.Feelings and states of emotions are not a biological disease.As long as the psychiatrist profession continues to trumpet this scientific rubbish, more and more of our friends or family members will continue to fall deeper and deeper into the balck hole of self-loss and hopelessness. Mary Ainsworth attachment theory is very helpful care and a birth of love 1965. As a non-national living in Ireland, I seek knowledge to help me to cope with pre-judgement and stereotype discrimination, even if is any law in place to protect against me from discrimination is too much energy waste and also, trouble to have evidence when somebody is abusive.I have been bullied and discriminated in my life.The way I cope ..my feelings are very important to me I am confident about what I want I do not upset others, I speak up for myself and I am persistent.We all need somebody.I did not need medication, what I need is a clear mind, love courage can not be certified by academic degrees.I test things for myself, self-educated before I went to study in DCU.Even the most unpleasant experience can add to my understanding of life. You have no idea the bullies can cause a lot of psychological damage.There is no quick fix to human misery. Mc Cullagh concludes white collar misbehaviour is a significant problem in Irish society. Too much power is not a good thing for anybody.Have you the right to question everything? Thank you! Yes it is a crime against humanity! A crime hidden under a ‘helpful’ mask. We hope the mask will be taken off so that everyone will see the deception underneath! Fear, not those who argue but those who deviate. I am very concern, I don’t have any fear with open people who question everything! The deception underneath is very dangerous: It is necessary for a psychiatrist to alter their attitudes of mind.Dr Corry exposed the ignorance of 8 professors on Monday 19 October 2009. The Irish Times published a letter from eight psychiatrists, professors of psychiatry who lead the teaching departments in the subject. The eight professors denied that antidepressant use is connected to homicidal acts though they were careful, to use the world cause rather than the link, when all eight accused Dr Corry of stating definitively that antidepressants cause homicide. Ignorance is at the highest levels of the teaching of psychiatry in Ireland, Ignorance among the eight professors who control the teaching in this country is not just deplorable, it is inexcusable, and it is appalling it is dangerous. Thomas Szasz a very experienced psychiatrist has scientific evidence that no behaviour is a disease. No other person in society has the kind of power the psychiatrist has and that is the power of which psychiatrist must be deprived. If the psychiatrist’s conscientiousness is supplanted by cowardice, greed, pride, or self-deception, the already vulnerable patient must bear the brunt. The psychiatrist should commit to their own growth physical intellectual,social-emotional and spiritual. William James question everything.